Pressure compensated pumps with displacements range from .031 to 9.82 cu. In. (.5cc to 161.0 cc) in single or multiple section pump configurations and in cast iron or aluminium bodies. Control valves can be integrated for additional functionality. Concentric will customize to the customer's vehicle function requirements, whether in terms of space envelope, noise, vibration, speed, power density or integrating components to simplify the system. The W300 pumps come in single configuration and have a 3-piece modular design. All mounting flange and rear covers are manufactured from high strength aluminum alloy. For optimum strength, gears and shafts are precision machined as a one-piece part. The 11 tooth gear geometry has been optimized for both low noise level and low pressure pulsation. 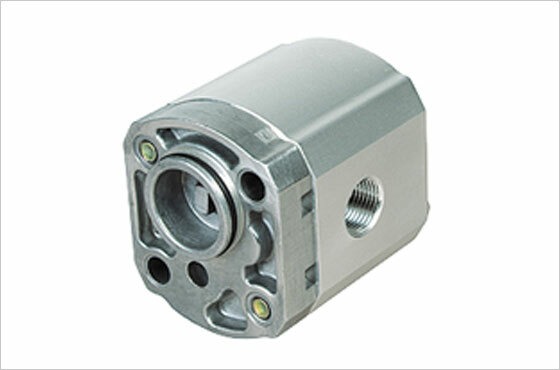 All shaft bearings are continually cooled and lubricated by a controlled flow of fresh oil. 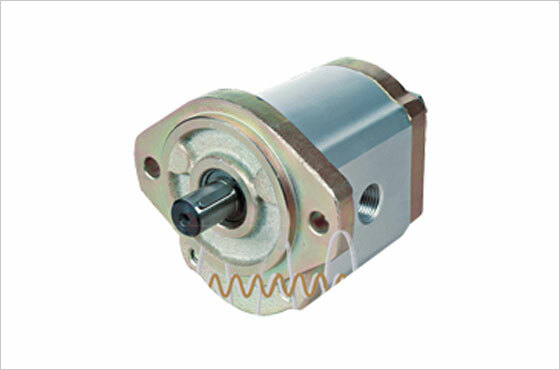 This enables operation across a wide speed range at very high loads. 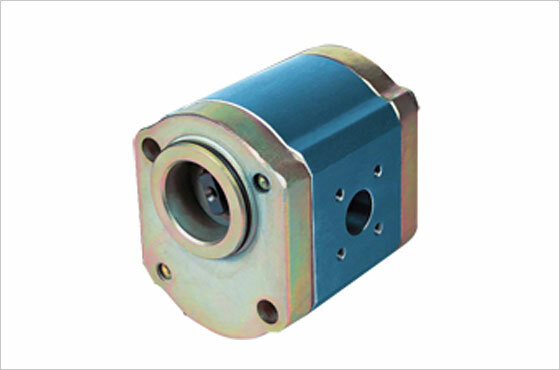 The large-sized slide bearings support the pump's long-life condition.A wide range of mounting flanges and port sizes are available to meet European and international standards. 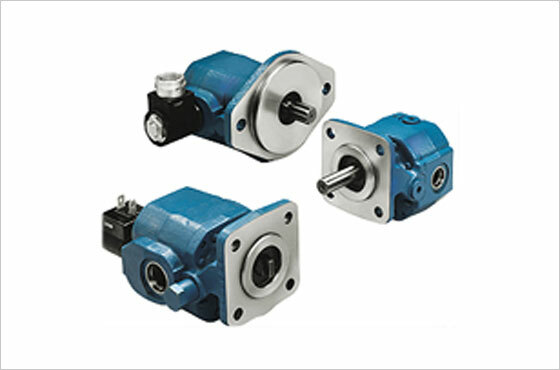 High-efficiency cast iron gear pumps designed for reliability and long life. The range of standard options allows the specifier to custom design a complete system and reduce component cost and assembly time. Standard options include three basic mounting flanges; five shaft designs; eight relief, check and solenoid valve combinations; five port location options; and five seal and bearing options. Available in single and multiple configurations. To meet specific customer needs, Haldex Hydraulics can design multiple section pump configurations within any of the pump families. 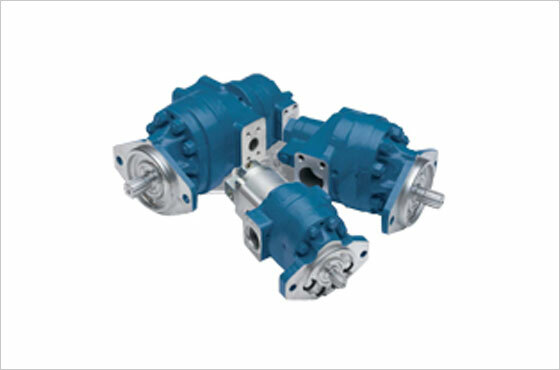 These pumps are ideally suited for providing power to multiple hydraulic functions from one power source. This allows for significantly lower hydraulic system costs when compared to the use of separate pumps and associated fittings and hoses. Multiple pump configurations from separate pump families such as the combination of the F20 Series with a W-Series to form a F2009 can be designed to meet unique applications. Multiple pump configurations are available with up to four sections with a wide variety of valving, shaft, port and mounting flange options. Haldex is the world's leading source for high efficiency gear pumps and now we have taken the next step by developing dual flank engagement gear pump technology. This technology has produced the WQ pump. The WQ pump provides the same high operating efficiency of the Haldex W Series pump with added low pressure pulsation to reduce fluid borne noise in hydraulic systems. 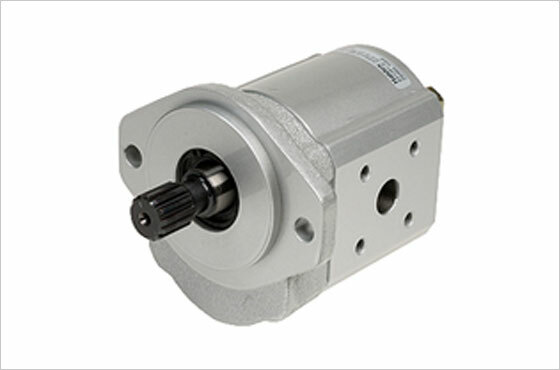 The W 900 is one family in the W Series of high performance gear pumps. It is a through bore bushing type design constructed of high strength aluminum housings. The W Series is suitable for a wide range of equipment applications from material handling, agricultural, construction and paving to aerial lifts, winch and turf care. Haldex is introducing the Calma Series Pumps which sets the new standard for low noise operation. Available in displacements from 6.2 to 23.7 cc (0.378 to 1.446 in3) the Calma pump's pressure pulsation is minimized to 25%. Calma's efficiency, wide speed range and low noise performance are the result of extensive research and development. Typical applications :Electric counterbalanced lift trucks, warehouse lift trucks, electric aerial work platforms and other mobile equipment where low noise, low speed and high efficiency are required. The F12 Ferra pump from Haldex Hydraulic Systems is developed especially for targeted applications with the construction equipment, material handling and agricultural markets. 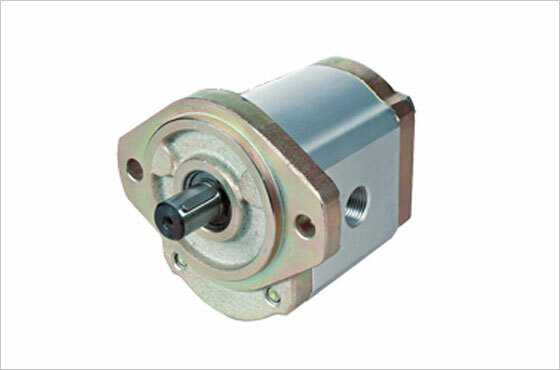 The rugged compact 2-piece design housing together with state of the art gear geometry enables this pump to work at high pressures with reduced pressure pulsation and low noise operation. The F15 Ferra pump from Haldex Hydraulic Systems is developed especially for targeted applications with the construction equipment, material handling and agricultural markets for the mobile off-highway industry. 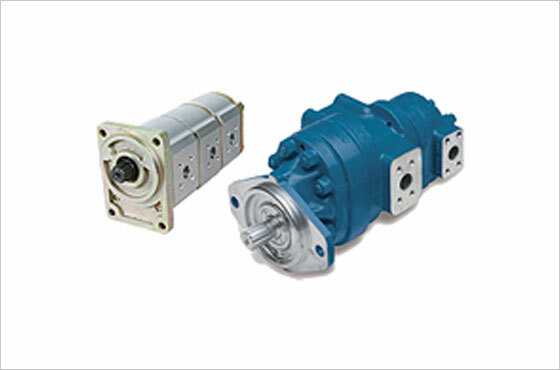 The rugged compact 2-piece design housing together with state of the art gear geometry enables this pump to work at high pressures with reduced pressure pulsation and low noise operation.